A data science company that uses AI and machine learning algorithms to analyze low-level sensor data from smart objects in order to better understand human behavior and context. Swiftly builds intelligent transportation systems to help transit agencies improve their operational efficiency while reducing congestion and greenhouse gas emissions. By combining real­time information across various modes of transportation (public transit, rideshare, carshare, bikeshare, scootershare, etc), as well as crowdsourced data, Swiftly optimizes how city residents get from A to B.
Angee is your smart home’s command center: a portable, all-in-one device which provides automated smart security, two- way communication, home device integration, and voice- controlled personal assistance. Automated "Self-Leveling" Residential Home Foundation Repair System using IoT sensors, Cloud Computing and Buried Micro-drip Irrigation Technology. BeeHex is the leading 3D food-printing company, with its technology originating from NASA's 3D-food printing grant for deep-space missions. Edyn develops smart gardening tools to help millions of homeowners save time and save water. The Smart Garden system allows users to precisely water their lawn or garden using the intelligence of the cloud. Feel is the first smart wristband that leverages proprietary algorithms to recognize & track human emotions, & provide personalized recommendations based on advanced psychological techniques to help users develop positive emotional habits. The IQ System is an intelligent, integrated energy storage solution. It includes a lithium-ion battery pack, energy meter/CPU, and a hybrid inverter that can be connected to the grid, solar, or both. We provide an all-in-on solution, which simplifies installation and increases the life and efficiency of our system. LocusLabs is building a centimeter-accurate model of the indoor world to power applications across mobile, IoT, robotics and augmented reality. oneID is complete identity lifecycle management for IoT. It allows for dynamic, real-time provisioning and revocation of identities for all nodes in your IoT ecosystem. Scenseit provides a Smart Air perfumer but not just! Scenseit will let people control the scent in their home & will provide online information on their indoor & outdoor air quality, so it will protect them when they are inside the home and outside. Keecker is the first robot that provides entertainment, security, communication and smart data for the entire home at once. Vyooit /vyu it/ is a an on-demand live POV platform for immediate visual feedback within the Enterprise & between Enterprise & consumers. This solution eliminates the pain of managing remote teams & operations by requesting live video from employees or contractors from the location, extending the reach of experts. Our launch product is a 3D food printer. We call it Foodini. We are using an open capsule model, meaning the consumer prepares and places fresh ingredients in Foodini. Foodini is the first 3D printer to print all types of real, fresh, nutritious foods, from savory to sweet. PRS designs and manufactures support surfaces to help people enjoy their lives. Seat cushion pressure reduction benefits patients who may suffer from bedsores to consumers who want the most comfortable cushion during their long commutes, challenging conference calls and enjoyment of leisure. Nearable bridges the gap between brands and devices creating the world’s largest BLE location network, drastically increasing the odds of discovering all lost items. Ripples first product, the Ripple Maker, turns ordinary coffee into an extraordinary experience. The machine creates inspiring Ripples from any image or text atop the foam layer of coffee beverages with the touch of a button. An AI signal processing engineer that detects anomalies and classifies signals. Timeli is an Asset Performance Intelligence solution specifically targeted to asset intensive industries like Utilities, Process manufacturing, Oil & Gas and other verticals. Titanium Falcon focuses on natural interaction devices. The first product is a stylish smart ring for mobile gaming and VR called Talon - world's smallest and smartest motion control ring. it allows wearers to swipe fingers to play games or control apps on devices such as phones, tablets, VR headset, smart TVs, etc. TRX Systems delivers infrastructure-free location, tracking, and status-monitoring of personnel in indoor and other environments without accurate GPS. Streetline is the world’s most advanced and complete smart parking platform. Streetline affordably delivers smart parking wisdom to consumers, merchants, private parking, public parking, and transportation solutions. Oxie is the first, smart, wearable air purifier. Whether you're on a plane, or in Beijing: Oxie effectively protects you from pollutants (including traffic smoke, allergens, germs, and more) without sacrificing style and comfort. 6d bytes is using robotics to make fresh on-the-go food that can be personalized to an individual’s taste and is available any time of the day, anywhere cost-effectively. Aerostate is a data platform that helps you add air quality information to your products. Arundo Analytics is a global provider of analytical and predictive solutions that raise asset utilization/ performance in industrial companies. Arundo's DeepQ product uniquely integrates sensor and transactional data to drive deep insight into historical equipment and maintenance performance. BioInspira is a sensor platform startup advancing air chemicals and pathogens detection for growing industrial and healthcare needs. Our first product is a virus-based natural gas sensor that is 1000x more sensitive, 100x smaller and 100x lower in cost than current sensors. Foodfully builds software and hardware to eliminate household food waste. By linking with loyalty cards, sending spoilage reminders, and connecting users with cooking resources, Foodfully can save users and retailers money while saving food waste. Infinite Uptime provides a vertically integrated plug-and-play IoT platform, with proprietary hardware, software and analytics, that automates predictive maintenance for industrial machines, with an initial focus on the manufacturing industry. Knocki is a small wireless device that instantly transforms ordinary surfaces (walls, tables, doors, furniture & more) into powerful yet highly-accessible remote controls for your favorite devices and software. Leantegra is a startup developing software and hardware products for engaging and analyzing the foot traffic. We help our customers from Retail, Smart City, Smart Parking and other markets to become successful. Minut consists of team of experienced engineers and designers with backgrounds from Apple, Google, Axis and Ericsson. We make an all-in-one security sensor called Point. Just like people understand what happens in a room based on sensory inputs, so does Point. 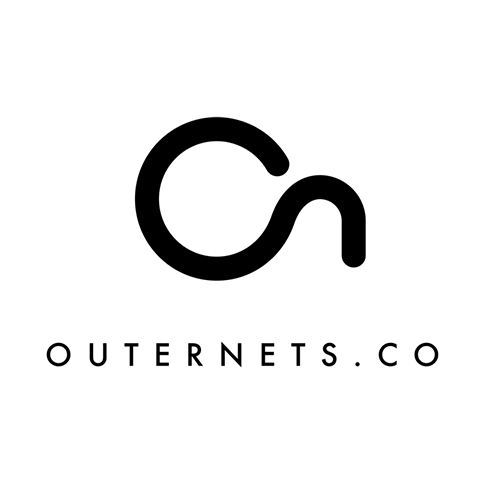 Nikola Labs is an innovative wireless power company with solutions for the Internet of Things. With special expertise in antenna design and advanced circuitry, the Nikola team incorporates wireless power, creating perpetually powered, data rich networks. PRENAV is developing an automated system to capture data about the world’s infrastructure using small aerial robots. Flying with unmatched precision, PRENAV drones represent a new way to sense and interact with the industrial internet of things. Iotera is building the world’s first crowd sourced wireless internet of things network. The network enables IoT connectivity at 10x lower power and 10x lower cost than traditional cellular networks. The Rufus Cuff is a ruggedized wearable with a 3.2” screen, 12-hour (full shift) battery, and runs the complete Android OS. It provides hands-free communication tools, and includes sensors that allow for physiometric data collection, location based assignments, and alerts & safety checks. WAVIO is the very first intelligent sound recognition plug-and-play technology for in-home use. WAVIO is Making Sound, Make Sense. Xoult is a mobile and web app that helps businesses manage, organize, and track any of their products. Xoult tells you everything you need to know about your products including warranty expiration, scheduled maintenance, support contact, and physical location. Perseus is the next-generation mirror; a smart, interactive, connected device with stunning technical features and a user centered experience. Scope AR develops industry-leading augmented reality products designed for improving operations involving remote field support, training and maintenance. Basically, using our software, your organization can more easily put its knowledge where it's needed, when it's needed. Passive Eye is a self-powered tracker. The idea came about several years ago from the news reports of the abduction of a little 5 year old girl. At the time I thought the chance of finding her would be so much greater if she had a personal tracker but then I realized that if she wasn't found in just a couple of days, the battery would be exhausted and the tracker would be completely useless. ProteoSense is building a rapid testing platform with the capability to accurately detect foodborne pathogens in real time. Our aspiration is to make foodborne illness a thing of the past. ProteoSense will help the food industry quickly identify pathogens throughout the supply chain rather than reacting after a contamination problem has occurred. WallSensor develops a ground-breaking smart home, eco-friendly technology for early detection home/business threats such as termite infestation, rodents and more, planned to be launched first in the US. Twyst specializes in creating Smart Connected Bags for retailers and consumers. The innovative team brings deep experience in hardware development, antenna design, RFID technology, data modeling, machine learning and software development. Aerial is a SaaS solution that uses existing WiF to enable Smart Motion solutions to enable services such as Intrusion Detection, Smart Lighting, Smart Environment, Elderly Care monitoring and more with out the need for wearables or multiple sensors. Your home just knows when you are home and what you like when you are there. Applied Particle Technology: Enabling cleanroom quality air everywhere through next generation air purification and air quality sensing technologies. Breezi is like a ‘Check Engine’ light for the smart home. Our AirPulse connected device monitors the vital signs of HVAC systems and detects problems before they become severe. Chronicled is securing physical world identities and data with Blockchain, including IoT, supply chain, and M2M applications. The emotional software company. We are using advanced facial emotional analysis to measure emotional responses unobtrusively and cost effectively, in real time, in real life. We recognize broken machine using sound. Transform glass into smart, interactive, digital displays. 3D Intelligence Platform using Computer Vision and Machine Learning. Mosaic develops the best AI voice assistant dedicated for IOT and connected cars. See more. Do more. Get insights to people flows in stores and offices. You can now make decisions based on real data and tools we offer. Modcam is a Swedish company specialized in computer vision and edge computing. Senso enables companies to understand the emotions of their customers on an individual level using computer vision and emotion research. Intelligent IoT security services for the edge. Init.ai enables companies to build intelligent conversational services. Companies can automate customer conversations beyond chatbots, augment human agents as they serve customers, and analyze multi-user conversations between users in support scenarios to derive actionable insights. DataRobot provides a machine learning platform for a spectrum of data-driven users and skill levels. From the progressive business analysts or statisticians to the applied data scientists - users from around the globe are building and deploying accurate predictive models in a fraction of the time it used to take. Pillar Technologies deploys construction job site sensors and provides predictive data to allow insurance providers to quantify risk, reduce long term exposure and provide a better service to their customers. 3DSignals have created a predictive maintenance solution that leverages deep learning to analyze the sounds emanating from machines and alert when they are about to malfunction. The platform collects sounds and data from industrial equipment, identifies anomalies, classifies patterns of equipment failure and predicts issues before they interrupt work. The platform for your home, and everything in it. Computer Vision and Machine Learning to Enterprise Security. A Healthcare Internet of Things Platform Company using proprietary RF wireless charging technology and machine learning software to create intelligent energy efficient and wireless IoT sensor networks that provide intelligent data streams of high value in Digital Health, SMART Building and SMART City applications. FriendlyData helps enterprise companies make data accessible for non-technical people by providing natural language interface to databases. IntelliVision is a market leader in AI and Deep Learning-based video analytics and video cloud software for security and monitoring in Smart Homes, Enterprises and Cities, business intelligence in Smart Retail, and Advanced Driver Assistance Systems (ADAS) for car/road safety in automobiles. KENNWERT focuses on the R&D of high tech low cost construction materials, and manufacturing processes for Smart Buildings & Infrastructure. R&D entitles not just the development: most attention is paid to the market needs and requirements (demand & profit). kwik allows people to order their favorite product with a push of a button. Unlike existing solutions, orders can be delivered directly from ANY brand, retailer or home delivery service. kwik’s open end-to-end solution includes a smart IoT button, interface to payment and delivery systems, and an analytics dashboard that enables brands to develop direct relationships with their consumers. Current customers include Domino’s, Eden Water, Huggies (Kimberly Clark), and Anheuser Busch. Headquartered in Sunnyvale, CA with R&D in Tel Aviv, Israel, kwik is in advanced negotiations with some of the largest consumer packaged goods, food delivery, B2B suppliers, and retailers in the US. Motionloft uses artificial intelligence to digitize physical movement. onTarget is a visual analytics software for construction which mitigates risks of cost overruns and time delays. Ideation to development, Pandora Reality offers end-to-end Augmented Reality and Virtual Reality Solutions tailored for your needs. White-label home security, energy and care solutions with bot-enabled Artificial Intelligence. We predict failures in heavy transportation equipment using auto generated machine learning algorithms developed by our platform. Radiomaze enables home security without hardware or software modifications by leveraging the existing WiFi at home as motion sensor. Robbie AI provides automatic customer satisfaction scores from real-time video feeds at point of service delivery. Robbie AI uses computer vision for assessing and predicting human emotion and behavior in real time with any camera, in any platform. Shoof is developing the first open architecture advanced wireless technology for the industrial IoT and logistics industry. Silk is a machine learning company using on-device AI to empower businesses to build the next generation of intelligent connected devices. Silk Labs is building better experiences for IoT by providing the fabric that ties devices together. We deliver enterprise workplace services via a software-only (SaaS) model to make existing buildings smarter. Terbine is the first global exchange and marketplace for the data of the Internet of Things. Togg is an indoor activity detector for smart homes. We design and deliver the most advanced automation platform. XNOR.AI is bringing deep learning AI to edge devices. Bloom empowers women with new insights into their pregnancy and aims to capture the most comprehensive view on maternal and fetal health ever. StretchSense digitizes human body motion through their stretchable capacitive sensors. Gliimpse collects and securely stores data from health system portals, via the patient, then standardizes and integrates it into a single, patient-centric proﬁle. MetaOptima provides digital health solutions for skin cancer prevention and diagnosis. Mevoked is a customizable analytics platform that correlates online, mobile, and social data to behavioral health. Transcense is transforming communications for the deaf/hard-of-hearing people by bridging communication gaps with a personal experience of captioning. Drop Diagnostics is developing a device that can be used to diagnose disease within minutes using only one drop of blood, without pumps or expensive analysis equipment. CarVi employs the vision based safety tools to gather data, using a small dashboard camera installed in your car that "talks" to your smart phone. Waldo's mobile app collects a holistic data set of how you spend your time (where, for how long, what you're doing, and with whom) with no user input required. 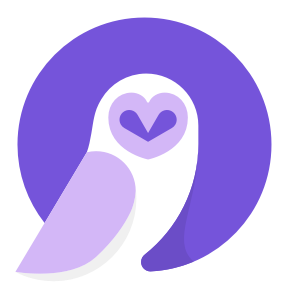 GreenOwl provides instant personal audio weather, traffic and road condition reports via a mobile app. Moj.io offers leading cloud-based technologies for cars, enabling real-time communication with smart phone apps for consumers, service providers, and automotive retailers. Parking Panda is an online marketplace and optimization platform for parking. elichens enables individuals to monitor their environment quality, which has direct impact on their health and well being. Emberlight's device can turn any light into a smart light, by connecting to your existing Wi-Fi and enabling you to control that light from anywhere in the world. Enertiv provides a combination of hardware and software that allows buildings to monitor their energy consumption in real-time to save energy and money. Neura creates intuitive and intelligent experiences between users and their connected environments. Notion is an all-in-one sensor for simplified home monitoring . WaterHero is an automatic, wireless leak detector and emergency shutoff system that can be retrofitted to a home's water supply. Yonomi is an app that magically discovers all of your connected devices and organizes them into powerful routines. Clarity is enabling real-time monitoring of personal air pollution exposure by introducing the world's most versatile (smallest, cheapest, accurate) PM 2.5 Sensors. Because the ﬁrst step to solving our global air pollution problem is measuring it. Connora is an advanced materials company addressing new performance barriers in the next generation of high tech consumer, automotive, and mobile electronics products. Abode, an integrated consumer software and hardware solution, enables home security and automation with easy to use technology. AquaSeca's solution includes a group of low-cost, non-invasive acoustic sensors which “listen” to water usage. Awair is a connected device that monitors the air you breathe at home or at the office, analyzes it, and provides solutions. Flō is a proprietary water control system for homes and buildings that virtually eliminates all flooding caused by plumbing leaks. FreeWire Technologies is developing innovative battery-based energy storage solutions for electric vehicle charging and diesel generator replacements. LightUp is a STEM learning platform that helps kids understand the increasingly connected world around them. Meural combines the best of art, technology and design to create products that make us feel something. MoBagel provides device analytics software for hardware manufacturers and branding companies. UberCloud is tackling the missing link, Computer Aided Engineering, with its container technology built on Docker. Numa runs a modified build of Suricata on a solid state device that is connected between your router and modem. Ohmconnect provides home energy management solutions via smart meter analytics and energy market integration. Senseware lets you create a sensory system for your surroundings. Sprimo let's you breathe easier by making sure the air in your environment is clean. Stack provides responsive lighting solutions that make spaces more comfortable. The ilumi Smartbulb is a series of color tunable LED Smartbulbs controlled wirelessly via Bluetooth from an easy to use iOS or Android app. Thinnect enables rapid development of IoT applications so the application developer can focus on the application development. Ipvive is transforming the way businesses see their customers by generating real-time holistic understandings of individuals. Cogniac makes it insanely easy to automate any visual inspection task using state of the art convolutional neural networks that learn by example. All aspects of data curation, model design, model testing, and model deployment are fully automated, enabling anyone to build visual AI's that classify, detect, count or measure items or conditions of interest. AI (linear, neural network) Computer vision, Machine learning firm. Our augmented reality platform allows you to see and search your data in the real world, placed where you need it, when you need it most. Dawex is a global data marketplace that enables you to share, monetize, and acquire data without intermediaries. It is designed for all types of private companies and public-sector organizations. They have built a unique trusted third-party platform that combines all the steps and functions for carrying out data transactions in proper form. 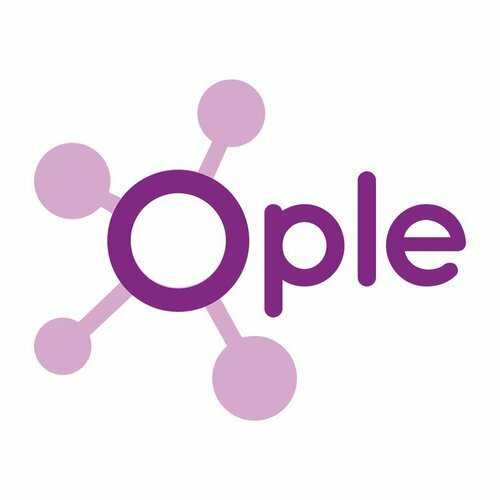 Ready-to-use machine learning for industrial operations. Fero enables factory personnel to automatically build ML models to predict quality issues and machine downtime, across a range of industries. Security solution provider for Industrial IOT / ICS. Advanced portable laser-based chemical sensors for energy, industrial manufacturing, defense and security, transportation and healthcare sectors. Inertial Sense focuses on micro-navigation solutions for an autonomous world. Machfu has developed a secure embedded device platform with applications and communication capabilities for Industrial Internet-of-Things (IIoT) that unifies a fragmented industrial automation market. NanoCore's advanced 3D metal printing technology produces high resolution parts that meet the critical needs of applications from automotive and aerospace to consumer product design and prototyping. QC Ware is a Palo Alto based startup company that develops a hardware-agnostic enterprise software platform running on quantum computers, and its purpose is to solve some of the world's most computationally complex problems. TacitWear enables the transfer of tacit knowledge for workers and ready access to expertise / information in context supporting universal and emerging enterprise wearable devices. DynoSense is the world’s ﬁrst fully integrated multi-function health scanner technology. Sensilk is a smart clothing with invisible technology making you comfortable and motivated to train your best. Quitbit is the ﬁrst connected lighter that helps you quit smoking. Locbit provides the platform to automatically adjust their appliance and energy usage based on programmed parameters. The bottom line is, by using sensors, reporting the data and then matching that data to determined criteria, the building becomes more energy efficient and saves you money. Stemp is an intelligent body thermometer system providing continuous body temperature monitoring. Monitoring for food safety and compliance from production to point-of-sale. Angelcam helps you get the most out of your security cameras and make them accessible anytime, anywhere, from any device. BearTek took the controls and turned them inside out - building in, integrating and perfecting technology that moves with you during those activities - your hands, your fingers, your neural pathways - all to support the most seamless, invisible connection between you and the world that allows you to create. With BearTek™ Gloves - now you can create it while you are in action - an ultimate experience that is a true expression of you and everything you love. Bidgely (which means "electricity" in Hindi) is working to solve one of the biggest challenges in energy: enabling utilities to meet their demand-side energy goals by fully engaging and satisfying their customers. We're a highly energetic and innovative team that has developed ground-breaking analytics that can itemize home energy usage data to the appliance level without using any plug-level monitors. Now, we are setting out to deliver this technology to millions of households across the world and help save energy on a massive scale. Through Butterfleye's simple and human centered design, we intelligently capture your memories and bring them to your fingertips so you can keep and share them with loved ones. Caeden is a design driven company dedicated to creating sophisticated technology that is truly wearable. Based in New York City, Caeden has built an experienced and talented team that bridges hardware design, software engineering and fashion. Our mission is to create a culture of balance by empowering our customers to find their own personal balance through beautiful, seamless technology. Chemisense is a wearable air quality monitor to help individuals better understand the air around them. CogniVue offers the most comprehensive embedded vision solution in the market today. Our revolutionary and patented Image Cognition Processor (ICP) core APEX, tools and software allow developers to achieve >100x advantage in performance per power per area versus incumbent technologies, enabling the creation of previously implausible vision products in wearables, automotive and industrial applications. DQuid is both for retrofit and brand new projects. Whether you’re using the DQuid IO boards or integrate natively the DQuid RDK, what you are going to prototype is what you will bring in production. With no time wasted. Empath is a backend API that helps developers code less and focus more on creating great wearable apps. We leverage sophisticated learning algorithms to abstract complex sensor data into actionable analytics. Our cross-platform API lets developers be device agnostic, allowing for maximum code reuse. FluxBand is an ambience sensing wearable device that would characterize, analyze, and quantify the environment around us. The initial focus of FluxBand is for individuals with respiratory disorders or skin sensitivity since they are the most vulnerable to environmental elements. Locbit is a company that helps companies and people connect their devices inside their buildings. Weaved eliminates the need for in-house expertise in networking, services, mobile, security, and firmware development. At the heart of the Weaved technology is a sophisticated software-defined networking fabric that can be used with any hardware product. This fabric employs two levels of secure IoT cloud networking service to allow users a variety of services and features. Direct network connections are peer-to-peer, encrypted, and each connection session is protected using a unique security key. We mimic human or animal receptors with the merger of synthetic biology and silicon technology, Koniku can deliver flavour representation, fruit composition or ripeness detection with millisecond resolution. Atlas Dynamics vision is to lead the Next Gen Aerospace industry with autonomous and cost efficient solutions that optimize resources while saving lives. Atollogy’s proprietary algorithms & capabilities are revolutionizing how physical operations are managed by integrating the physical world with artificial intelligence. Bare Conductive is a printed electronics company providing functional coatings, printed sensors and integration solutions to industry for applications in smart home, pest control, security, and healthcare. Emoshape developed a whole new generation of Emotion Chip that gives a plug and play emotion technology to IoT, Ai, Robotics, Gaming, and Automation. 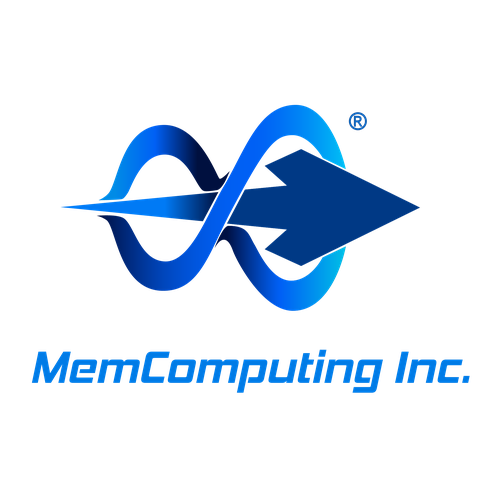 MemComputing’s software-based MemCPU™ Coprocessor technology attacks today’s most complex and time-consuming problems reducing compute times by orders of magnitude, at scales and complexity once thought impossible. MonoLets is building an end-to-end encrypted and enterprise-scale data warehouse. We build the network with batteryless and standards' compliant wireless mesh sensors, at a profile and price point that essentially enables embedding wireless connectivity into physical objects. Nanonets is a machine learning API platform offering developers a platform with limited data & knowledge of deep learning to build custom models solving problems specific to their applications. 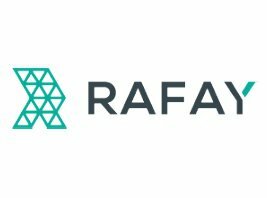 Rafay Systems is building the world's first Programmable Edge, which will allow application owners to extend their reach closer to their end users. Tech company developing tactile sensors and AI for robots. Automation of on-premise quality control using deep-learning and AI. SensorUp is the leader in Internet of Things cloud service platform for customers who rely on geospatial in their IoT Implementations. SLAMcore provide robot OEM’s with the tools they need to build autonomous machines with true spatial understanding. 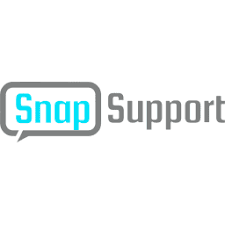 SnapSupport is an IoT enabled monitoring & resolution platform on mobile. 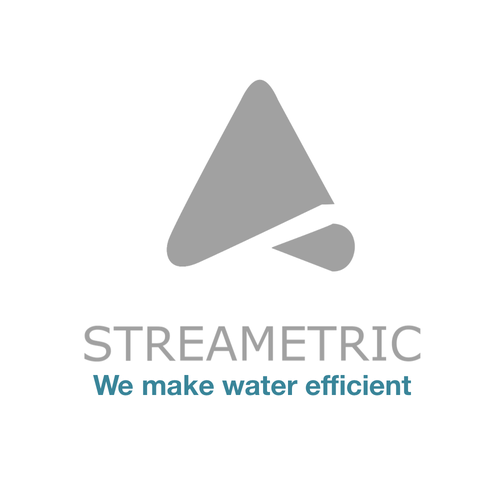 STREAMETRIC is a digital service platform that helps these operators of water and wastewater treatment facilities meet and exceed their targets for productivity, costs and quality. The ubiquios full stack simplifies the development of wireless IoT devices. 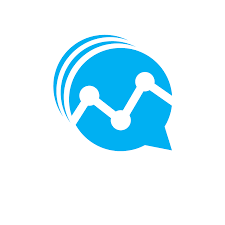 Uptake is the leader in advanced analytics software that makes industries more productive, reliable and safe. VLNComm's LiFi solution offers an alternative to WiFi by using optical energy for wireless connectivity, and integrates access-points into lights. BreezoMeter is taking care safety to the next level of Health, using cloud-based air quality management system. Vtrus Inc. has developed ABI, an autonomous indoor inspection drone. At Pilot AI Labs, we have built a deep-learning based computer vision framework targeted towards running on compute-constrained embedded devices. This framework enables functionality like highly accurate object detection, object tracking, object identification, and image/video search all on a device the size of a GoPro. This enables many applications where computer vision was previously intractable, such as environments where bandwidth limits connectivity to the cloud, or where real-time response to environmental changes is required.